If you’ve worked with Noble Studios, you’ve probably heard phrases like “topic clustering,” “building authority” and “high-performance content.” All of these are part of the extensive SEO strategies that we build for our clients. BrightEdge is the industry-leading enterprise SEO platform on the market and one of the best tools at our disposal to inform these strategies. As we head into the final months of 2018, VP of Performance Marketing Chad Hallert wanted to hear from the experts there about the latest trends in SEO. For that, he turned to BrightEdge’s Head of SEO and Vice President of Growth Marketing Erik Newton. What is the latest “big thing” in SEO? There are a few topics that come to mind. Vertical Search Optimization is generating a lot of interest because screen time is being used in so many different ways in addition to the browser. Google has already gone vertical with more than 95 percent of search engine results pages (SERPs) using one or more of the 50 universal SERP elements and hundreds of combined layouts. They do this in order to better meet the needs of the intent behind the queries such as Quick Answers, Local, Flights, Jobs, Images and Videos. Any site or app that has a search query function and results is a vertical search engine. Site search is vertical search. Amazon, eBay, Quora and Yelp are all vertical search engines. The App Store and Google Play are vertical search engines also. The skills of SEO apply in vertical search, so it is a way for martech providers and SEO practitioners to evolve and expand their area of influence. You can learn more about the topic and access our SEO skills checklist. Mobile video is drawing huge ad dollars with eCPMs averaging $10 and an estimated three billion dollar investment in 2018. I believe that is driving a rapid increase in video thumbnails being displayed in the Google SERPs, up from 18 percent in October 2017 to 27 percent of SERPs in July 2018. This is a significant push to video, which means brands should be investing effort and resources loading and optimizing videos on YouTube. It is the largest vertical search engine being exposed by the largest horizontal one in Google. Not new, but an ongoing topic of importance is the need to elevate SEO to the C-level in the brand organizations to make sure it has: 1) internal headcount, 2) content strategy and production influence and resources, 3) technology platform budget and 4) resources for agency support as needed. What are some techniques for generating off-page SEO impact? Off-page impacts such as taxonomy, topic clusters and the tried-and-true SEO technique of internal links are often overlooked. A simple way to explain taxonomy is the organization system. The streets of Manhattan have a simple taxonomy of using numbered streets north and south and spelled-out numbered avenues east and west. It makes it easier to find locations and navigate around New York. Your users and the search bots should have to expend minimal effort to find what they are looking for on your site. Page-load speed also falls in the off-page category. It’s great for the user experience and something the bot appreciates in terms of crawl budget. 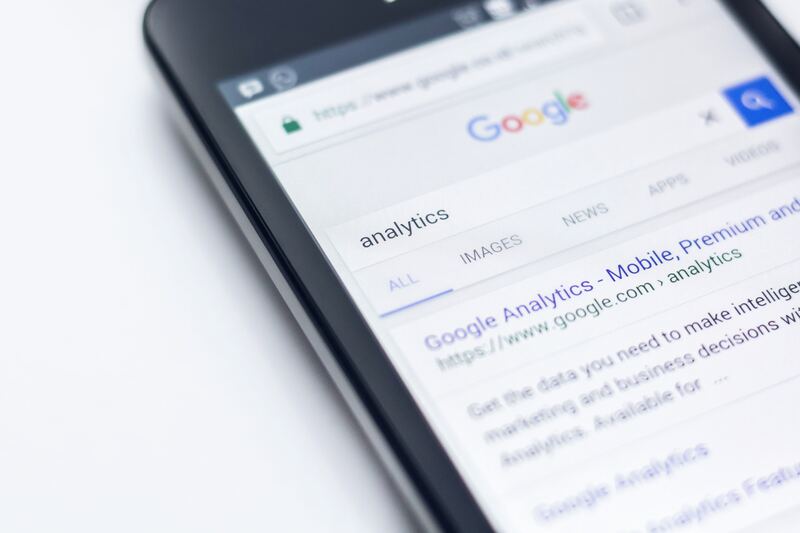 Google has started using it as a primary ranking factor in mobile in July 2018. The strongest signal of off-page impact is organic links; people like fresh, valuable, insightful, funny, touching, sharable content best and will link to it, casting a vote for its utility and authority. For BrightEdge, the original insights generated by the BrightEdge Research team are very strong content that generates backlinks from other trusted sites. Speaking of links, do nofollow links actually help with SEO? Nofollow links are a true white hat (legitimate) technique that keeps a page, site and brand safer from penalties. When you use a nofollow link, you are telling the crawler that the link is not organic or leads to a part of the site that you prefer not to index and expose. So yes, they do help prevent problems, but they don’t strongly impact rank. What do you believe will be the future of AMP? Should we have an AMP version of every page on a website? With mobile traffic and searches exceeding 62 percent share on average now, AMP is a challenge that sites need to consider. AMP-enabled pages make up less than two percent of SERPs now, but they are in the majority in some categories such as news queried from a mobile device. Because AMP-enabling pages will improve page speed, it doesn’t hurt. Two weeks after BrightEdge AMP-enabled our blog, we saw a 1.25 position rank improvement on average. Each brand must understand its mobile and AMP share and make a decision about when to pursue it. In June, we saw what appears to be two substantial Google algorithm changes. How can we tell what the changes mean for a website? Focus on relevancy, user experience and SEO, and your content will find its audience. If Google wants to drive a change that will affect white hat sites and brands, they will signal the industry about one year in advance. This is what happened with mobile and HTTPS. So, no. White hat practitioners should not react to specific, unnamed and unheralded algorithm changes. How important is Google My Business (GMB) to local search results? GMB is critical to local search performance. BrightEdge data reveals that the Local 3-Pack layout shows up in 12.8 percent of mobile searches and 12.5 percent of desktop searches. It’s a bit of a surprise that Local 3-Pack is showing up at nearly the same rate in desktop as mobile. Google and Chrome have increased their use of IP-based location identification for desktop devices. Properly populating the GMB fields and driving positive reviews will help, especially in competitive categories like coffee or sandwich shops. It’s also important to make make sure your NAP, or name, address and phone, are accurate and consistent in every instance on your site. Keywords vs. Topics? What should marketers be focused on? The two are closely related. Keywords are how most SEO specialists research and understand the search intent and the topics of interest. Operationally, it is useful to think in topic clusters and create multiple assets related to the topic on different URLs. For example, a cluster made up of natural disasters including earthquakes, hurricanes, tornadoes, floods, droughts, fires, mudslides and tidal waves would do better than one long page on only one or two of the topics. How is Voice Search effecting Google search results? 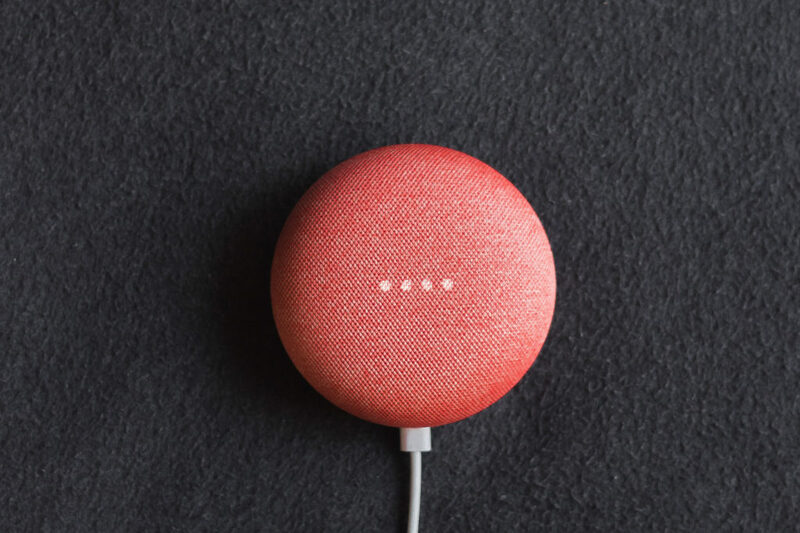 Voice is probably approaching 30 percent of mobile queries, and the new smart home appliances like Google Home, Alexa and Echo already have wide distribution at 20 percent of U.S. wi-fi households. Those devices are screenless and SERP-less, so voice is the entire input and output. Brands need to fight for position zero in the Quick Answer or position one where there is no Quick Answer. Quick Answers are showing up in 20 percent of results on both mobile and desktop. Brands should also consider enabling voice site search for their sites to provide a consistent interaction for those who are arriving from Google on voice commands. Will defensive SEO become even more prevalent in 2018? Organic search is the largest channel, averaging 50.1 percent of trackable traffic, so it merits proper attention and measurement. Invest in a platform that gives you the instrumentation and dashboards to watch this huge source of traffic. The manual penalties that can come from black hat techniques are much more focused on pages and not the whole domain as they used to be. In the sense that you want to protect the content equity your site has earned, it will be. But defensive SEO against competitors is not likely to become a more prevalent issue in the industry; artificial intelligence (AI) will probably outsmart it. What do AI and machine learning mean for search results and SEO in general? Artificial intelligence is the ultimate product of the industrial and information revolutions. Over time, AI will have a more significant impact on humanity than electricity, computers and the internet. In this nascent AI era, better AI can help keep watch on a site and its SEO, especially a large one with millions of pages. Developing AI and machine learning in-house requires significant resources, so partner with technology providers like BrightEdge that offer it in its Insights capabilities. Why does it seem that Google’s algorithm changes are impacted so much by technical SEO, but we keep hearing “content, content, content” in strategy discussions? Content marketing is an exchange of value for attention. Content is a primary differentiator. Look how Netflix, Amazon and Hulu are competing–original content. If the content is really good, people will make more effort and either pay with their money or their time to consume it. Think about technical SEO like a flat raft floating in a pool. Content rides on that raft and engages customers. Bad technical SEO will pull the raft under the waterline. Content is the life of the pool party, but without technical SEO, it doesn’t have a good platform to move around on and interact with the customers. Instead, it’s all wet. Do you know any good SEO jokes? Or course! Why do SEOs love the farmers market? . . . Lots of organic content! 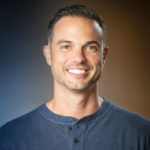 Erik Newton is head of SEO and vice president of growth marketing at BrightEdge. 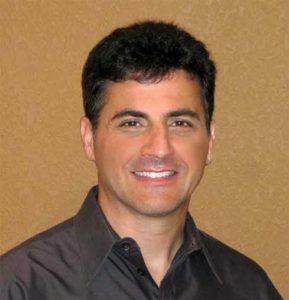 He has worked in tech marketing for more than 15 years at MP3.com, Netflix and TiVo prior to BrightEdge. At Netflix, he ran search marketing and was the third BrightEdge customer. Early on in his career, he spent six years in Japan and now lives in the Bay Area. He has published a book called Hack the Corporate Fast Track, available on Amazon.